Property owners have a duty to remove hazards that could cause injury, to maintain safe premises, and to post warnings when there is potential danger. If you have been injured as a result of a property owner’s negligence, contact Jorge P. Gutierrez Jr., Board Certified Civil Trial Lawyer at The Gutierrez Firm. Serious injuries and even death can occur as a result of negligently maintained or designed premises. A premises liability lawyer like Jorge Gutierrez is needed for representation, if you or aloved one has been injured on someone else’s property. Dogs that bite or attack can be deemed a dangerous condition. If a person is injured or killed by a dog, the homeowner can be sued in a premises liability suit. Other dangerous or defective conditions in a homeowner’s home, yard, or driveway can lead to a premises liability suit. Falling puts people at risk for injury and even death. It is reasonable for people to expect to be able to safely walk in a business or residence. Sometimes unforeseeable circumstances occur, but many times a property owner is negligent, leading to slips and falls that result in injury. While property owners have a duty to maintain facilities that are hazard-free, some hazards cannot be avoided. For instance, if bad weather occurs, and the result is high water and broken limbs, in the immediate aftermath, the property owner may not be considered liable. There must be a show of diligence, to remedy dangerous situations that occur. If there is negligence in addressing an unforeseen circumstance, there could be a strong case for premises liability. The property owner was aware of or should have known about the hazardous condition. The property owner failed to repair the hazardous condition or, in the alternative, give warning of the condition. The claimant was injured as a result of the hazardous condition that existed on the property. If a condition existed that the property owners could not have known about, they cannot be held responsibility for resulting injuries. The people who enter another’s property also have a duty, and it is to exercise reasonable care for their own safety. 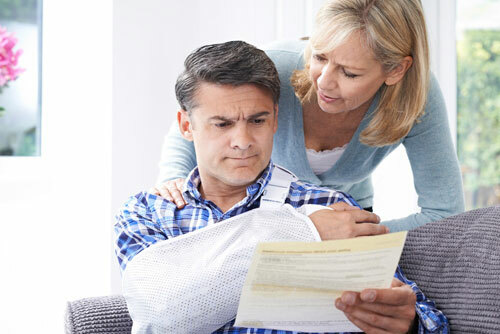 Have you been injured on another’s property as a result of their negligence? Contact The Gutierrez Firm today for skilled and aggressive representation in a premises liability claim.